Not so long ago, it was science fiction. Now, it’s hard science -- and that should frighten us all. The latest reports from the prestigious and sober Intergovernmental Panel on Climate Change (IPCC) make increasingly hair-raising reading, suggesting that the planet is approaching possible moments of irreversible damage in a fashion and at a speed that had not been anticipated. Scientists have long worried that climate change will not continue to advance in a “linear” fashion, with the planet getting a little bit hotter most years. Instead, they fear, humanity could someday experience “non-linear” climate shifts (also known as “singularities” or “tipping points”) after which there would be sudden and irreversible change of a catastrophic nature. This was the premise of the 2004 climate-disaster film The Day After Tomorrow. 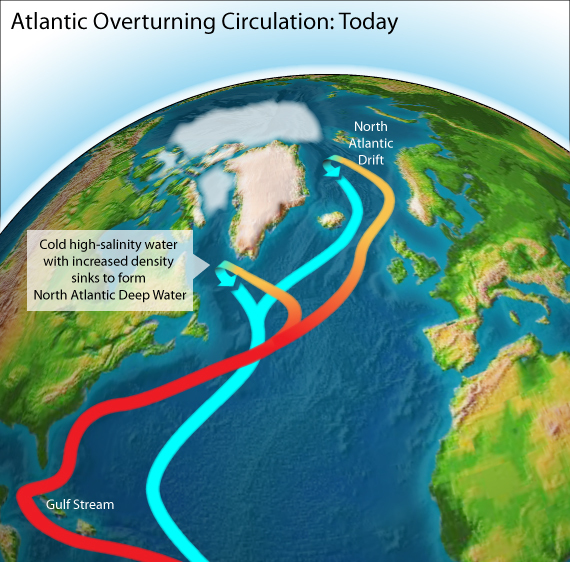 In that movie -- most notable for its vivid scenes of a frozen-over New York City -- melting polar ice causes a disruption in the North Atlantic Current, which in turn triggers a series of catastrophic storms and disasters. At the time of its release, many knowledgeable scientists derided the film’s premise, insisting that the confluence of events it portrayed was unlikely or simply impossible. Another crucial ecosystem that's showing signs of heading toward an irreversible tipping point is the world's constellation of coral reefs. Remarkably enough, although such reefs make up less than 1% of the Earth’s surface area, they house up to 25% of all marine life. They are, that is, essential for both the health of the oceans and of fishing communities, as well as of those who depend on fish for a significant part of their diet. According to one estimate, some 850 million people rely on coral reefs for their food security.